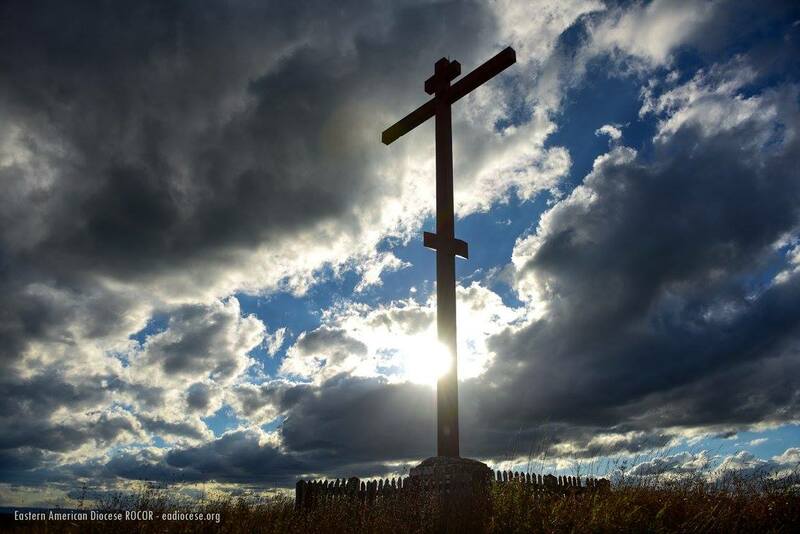 Prior to their graduation, Holy Trinity Seminary’s graduation class of 1971 had erected a magnificent 40 feet tall cross on the top of the hill overlooking Holy Trinity Monastery in Jordanville, NY. 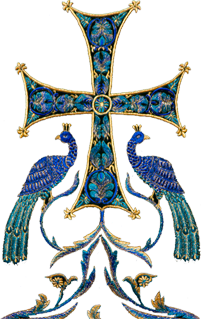 Since then, this cross became a part of the local scenery, something that is very strongly associated with the imagery of the monastery. 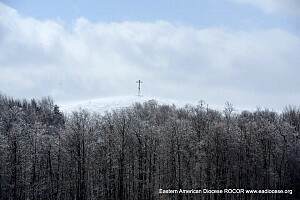 Although the cross has been already renovated once, time and severe weather conditions have been taken their toll on it. This past summer, pilgrims from the Moscow-based Institute of Russian Athos made an initial donation that has been used to paint the cross. This is an impressive beginning, but the monastery still needs $4,000 more to renovate the entire plot. You can also be part of this noble cause, donating via PayPal here. 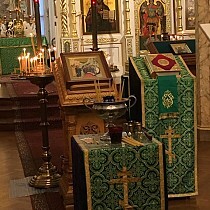 Please mark your donation for the Golgotha site renovation.